Editor, over the last 6 years, since my return from the USA, I have been noticing a huge void in the Public Security (formerly the Home Affairs) Ministry. The void is the lack of criminologists; people who are trained to understand crime and criminals; individuals who study the making of laws and the breaking of laws and the society’s reaction to the breaking of laws. 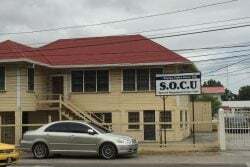 There seems to be no dearth in the provision of monies, tactics and formula to best equip the Guyana Police Force. 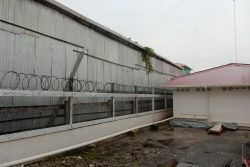 Over my time as a remigrant to Guyana, I have noticed just about every bit of politically correct and militarily appropriate manoeuvres being implemented to stem the ever growing tide of crime and recidivism (the returning to prison), in Guyana. We have increased the size of the force; we have teamed up with other countries to provide training to our men and women in the force. A little over a year ago we spent millions to train a SWAT unit. However, what continues to be noticeably absent is a proactive plan that is crafted to deal with the offenders themselves. Incarceration alone will not work. Indeed, it has never worked. Guyana needs professionals who are specially trained in the field of criminology. And the government needs to have some of these persons at their disposal. Politicians, police and prison officers have their roles to play, however, neither category of persons is qualified to pronounce on the mentality and modus operandi of the offender. Therefore, the politicians, the police and the prison officers must be supplemented in their tasks by other professionals who bring in the other needed piece of the puzzle. This is where the criminologists and their expertise come in. It is very obvious that something has been long missing in the security sector in Guyana. Over the last 10 years there has been no protracted reduction in crime, even in light of the fact that some of the ‘criminals’ were being killed by the police. It is very evident to the objective observer, that there is something in the mind of the offender and potential offender, which is driving them to the point where they are prepared to die in the execution of their trade. There must be a criminogenic explanation for this kind of behaviour. What has also become a trend in Guyana is the flippant manner in which these offenders are willing to kill in the execution of their trade. For this too there must be a criminogenic explanation. Editor, I am therefore suggesting that this new administration use their newness and begin to look into building a structured programme aimed at reaching out to the offender population, in an effort to provide the citizens of Guyana with some rationale for this maddening, crime epidemic we have been experiencing over the years. I am out on the streets every day working with persons both from the offender population and the victims of crimes. As a member of the diaspora community, I also receive feedback from those overseas. Several of our overseas Guyanese are anticipating a reduction in the crime situation. It is my opinion that the Guyanese public (both locally and abroad), would not object to monies being spent on programmes and projects that have the potential of stemming the tide of our crime situation. I therefore suggest that the Ministry of the Presidency or the Ministry of Public Security begin to consider securing the services of a professional in this field. Someone who is familiar with the art of criminogenic best practices. There is the Prison Management Board and the Alternative Sentencing Board: their names speak for themselves. I think there needs to be a team that is tasked with personally interfacing with current and former inmates, for the sole purpose of formulating an agenda that will realize the reduction of crime and recidivism in Guyana. That team should be answerable to the Minister of Public Security or the Office of the Presidency. The recommendations of that team should form the basis for a wider offender rehabilitation programme and that team should remain in place until such time as the populace is convinced that the authorities have a handle on the crime situation. So while I laud the proactive anti-crime approach of President David Granger and that of Minister Khemraj Ramjattan, our 2nd Vice President, I think that there remains a void that can only be filled by persons who are trained in interacting, in a rehabilitative manner, with our offender community.